It was many years ago now, thirteen maybe?, that I attended my first Women of Faith conference, but I remember it like it was yesterday. My mom, sister, and I and a few friends listened to these women pour out their hearts and souls for Jesus, to glorify His name. I remember hearing women like Thelma, Patsy, and Marilyn. Generations older than me, loving the same Jesus as me. Connecting women all over the room, all over the country, with open hands to their King. They made me laugh and they made me cry. Perhaps, what sticks out to me most in my mind, still today, is Tammy Trent. Years later I would read her book, and feel all those same feelings yet again. Maybe it was because I was a young girl, so shapeable and eager to dream of what the future held for me and who God would have for me as a husband. I heard her love story and how much she adored the man of her dreams. I saw pictures of her and her handsome, strong, God fearing husband. While celebrating each other and their love and living lives to glorify His name, Trent was taken from her. The circumstances were surreal. She was alone, out of the country, and then our country was attacked on September 11, 2001. She couldn't get back to her family and friends for support, and the man she loved most in this world was gone. I marveled at the grace she used in telling her story and couldn't stop thinking about how she walked worthy, when everything was stripped away, she praised His name. This year Women of Faith celebrates twenty years! of ministering to women through these conferences that have brought so many to Christ. They are calling this tour, the LOVED tour. "You are seen. You are known. You are free. Connect with a community of women that gets what you’re going through . . . and with the God who loves you more than you know." I don't know about you but I need this reminder every.single.day. The impact that this event had on me as a high school student still resonates with me today. I am ready for the Lord to use these women to work in my heart again, all these years later. I can't even tell you how giddy I am at the thought of returning to hear some of these same beautiful hearts, and brave new ones too. And, I'm not gonna lie: The traveler in me is quite excited to choose where I want to attend. Right now I'm dreaming of it being Birmingham... would you join me there? Would you attend in your city to have your world be shaken up a little by these precious women, in the name of Jesus? Check out the tour schedule right here and you can the amazing speaker line up here. Do not miss this, my friends! Do not miss it. 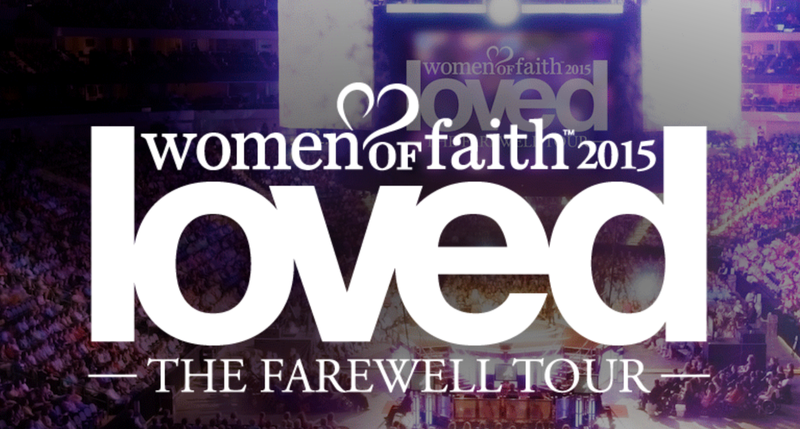 The fabulous ladies at Women of Faith are giving Take Heart readers $20 off any standard or premium ticket. Use code Danielle20 when purchasing your tickets, at any location! The pricing for this event is already reasonable so with this discount code: grab your moms, sisters, and girlfriends and hit the road! I hope to see you there, my friends!